Imagine: You’re feeling as independent and physically strong as you ever have. Every morning, you wake up to the sounds of nature; every evening ends under the stars. You’re tired, but in a good way, and every day for the next few weeks or months is forecast to be the same. That’s the idea that draws many hikers to complete a long distance trail. Thru-hikers are those who begin at one end of a long trail, then complete the entire thing in succession, as opposed to hiking a section of it here and there. Over the course of a few weeks or months, they not only become fit, they also become part of a larger trail culture. Trail names, trail magic, trail angels—these are all part of the camaraderie that keeps thru-hikers on track during the more challenging part of a long hike. And there are challenges. Sometimes the weather stays cold or rainy for days or weeks on end. Sometimes a section of trail is particularly challenging. There are beautiful things about thru-hiking, but there are also difficulties—and the more prepared you are to face them, the more likely you are to complete your thru-hike. Here are our tips for thru-hiking success. In the United States, the best known thru-hikes are the so-called Triple Crown. These hikes include the Pacific Crest Trail (PCT), the Continental Divide Trail (CDT), and the Appalachian Trail (AT). Each of the Triple Crown trails is over 2,000 miles long; they all run the length of the country in a north-south direction, and most thru-hikers tackle them northbound, or NoBo—that is, from south to north. Hiking 2,000-plus miles is a huge accomplishment, and it’s one that takes time. Most thru-hikers on Triple Crown trails plan to spend between four and six months on the trail. Sound like a bit much? You’re not out of luck. There are tons of more approachable-length trails around the country, like the Colorado Trail (486 miles), the Arizona Trail (800 miles), or the Long Trail (273 miles). 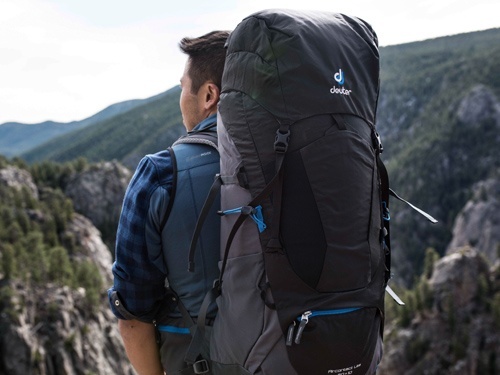 More than any human you hike with, your pack will be your constant companion on the trail. Literally—you can’t get away from it. That’s why it’s absolutely crucial that your pack be comfortable, in addition to meeting all your other needs. Many thru-hikers try to cut weight wherever possible. Sometimes this means cutting toothbrushes in half, eating only dehydrated foods, and skimping on accessories. 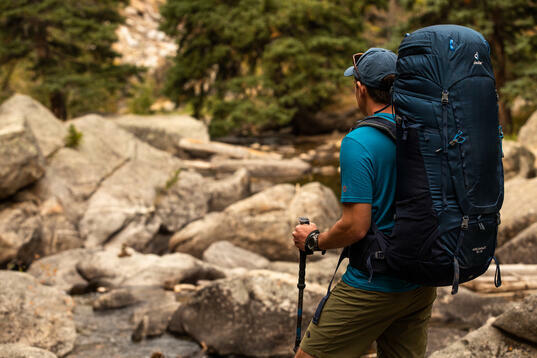 One thing it shouldn’t mean, though, is sacrificing pack comfort—an ultralight pack doesn’t do much good if it doesn’t carry the weight of your supplies comfortably. 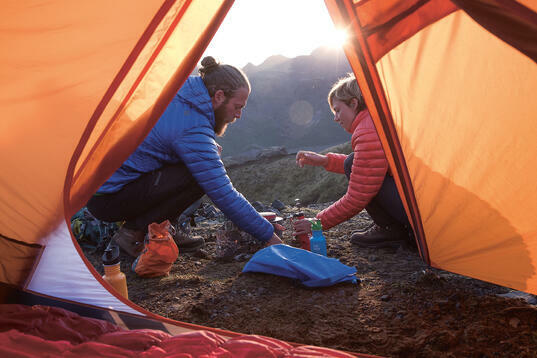 A Deuter Aircontact Lite pack may be heavier than some on the market, but it’ll carry your load comfortably day after day, which, if you’re spending weeks or months on the trail, is a worthwhile tradeoff for a few ounces. This tip applies to both time and money: nothing could make a thru-hike more stressful than constantly worrying about blowing through your savings or running out of time off. Consider setting aside an “emergency fund” of around $1,000, which will allow you some peace of mind if you find that you absolutely need a new pair of shoes before you can hike another mile, or if nothing sounds better than a hot shower and a night in a motel along the way. Many long distance trails travel through towns along the way, and you may even occasionally have cell service, so you may be able to communicate to loved ones if you’re running behind schedule. Still, budgeting some extra time into your itinerary will help alleviate stress about post-hike responsibilities and allow you to focus on the experience. A tent this size is great for personal space for each traveler... but then you have to carry it. No matter what long distance trail you’ve got your sights on, chances are you won’t be the first to do it. The Triple Crown trails, as well as many other thru-hikes, have online forums and Facebook groups dedicated to discussions about them, and many successful thru-hikers have written books and articles about their experiences. 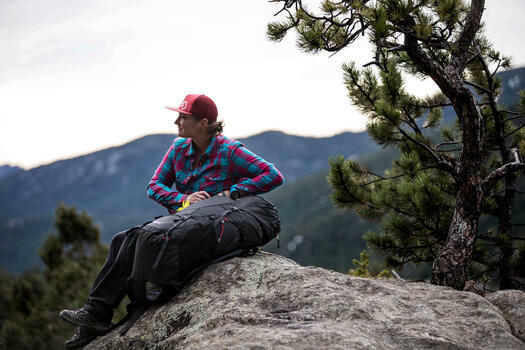 Consider them a resource—those who have done your chosen trail before can answer specific questions about logistics at various points along the trail, as well as basic questions about preferred gear. You might also pick up some important tips, like putting all your bills on auto-pay before you hit the trail. Most thru-hikers will tell you that the only way to get in shape for a thru-hike is… to thru-hike. That’s true to a certain extent—after all, what other physical activity has you putting in 20-mile days with a pack for weeks on end? It’s going to take some time (likely a couple of weeks) to really settle into a rhythm on the trail no matter what. But you won’t be sorry if you’ve got some base fitness when you set out from the trailhead. Getting in shape applies to your mental well-being, too. 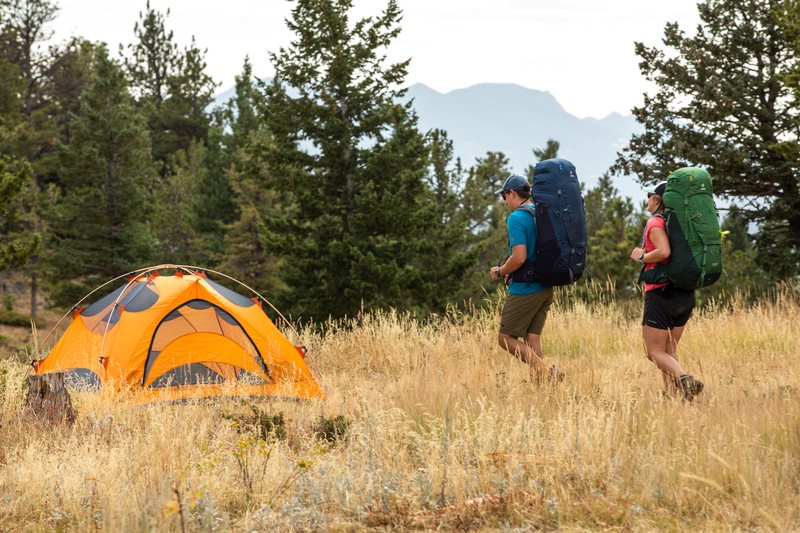 Testing your gear in advance, for example, means you won’t be panicking as you try to set up your tent for the first time once you’re out on the trail with no backup plan. New pack, new poles, new pants. What could go wrong? Depending on the length and difficulty of the trail you’ll be taking on, thru-hiking can be a fairly expensive activity, especially when you take into account the fact that you won’t be working during the weeks or months you’re hiking. Starting to research and gather your gear well in advance will not only give you time to feel fully prepared, it’ll also help prevent you from skimping on cheap (but lower quality) gear when you realize you don’t have something at the last minute. Many thru-hikers begin the planning process (and saving money) years in advance. That way, you’ll arrive at the trailhead feeling ready to go, and not stressed about the huge chunk of cash you just spent all at once.